Why Should You Go to the Open House ?? 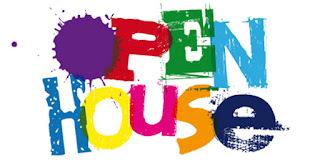 Why should I ask my regulars to attend my Open House? It will have the usual: refreshments, door prizes, samples and a meet and greet with other holistic peeps. But you will also be introduced to the Plateau Breakthrough Success Formula. Everyone has some aspect of his or her health that could be improved. We all can work on something to better ourselves, even if we think we are doing OK. If I haven't seen you in a while, please come visit. If you are a regular, you might have more time to talk about a health issue that we can address that you haven't been able to think about because the job is busy and you squeeze your appointments in right after work and before going home. I'm looking forward to it. See you there.